Dry Eye Syndrome (DES) is an often chronic inflammatory disease that affects the anterior surface of the eye. Some symptoms of DES include redness, burning, tearing, light sensitivity, and foreign body sensation. 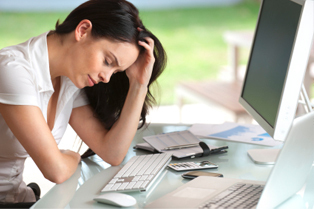 Symptoms can range from occasional irritation to constant severe burning and can affect your quality of vision. There are several types of DES depending on the exact cause of the dryness; some people may not produce enough tears while others may not have the right quality of tears. Tears have many functions; they provide lubrication, reduce the risk of infection of the eye, clear away foreign matter in the eye, and help to keep vision clear. There are many causes of DES, some of which are age, environment, medications, and medical conditions. Our Optometrists at the Integrative Eye and Wellness Center (IEWC) use a combination of advanced technology to help diagnose and treat DES. 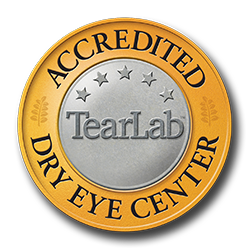 In addition to providing an external examination of the eye, we measure the amount of tears the eyes are producing and check the quality and osmolarity of your tears with our state-of-the-art TearLab™. We are able to evaluate the cellular level of the cornea (the front surface of the eye) to check for any damage due to DES. At IEWC we combine a holistic approach with traditional Western medicine to treat DES and prevent it from becoming a chronic problem. Our philosophy of bio-individuality permeates our evaluation and treatment of Dry Eye Syndrome (DES).